Akiko Busch is a writer on design, architecture and the everyday items that we live with. her 2005 book The Uncommon Life of Common Objects: Essays on Design and the Everyday has chapters on the design of everyday items; video camera, mobile phone, vegetable peeler, chair, a refrigerator. 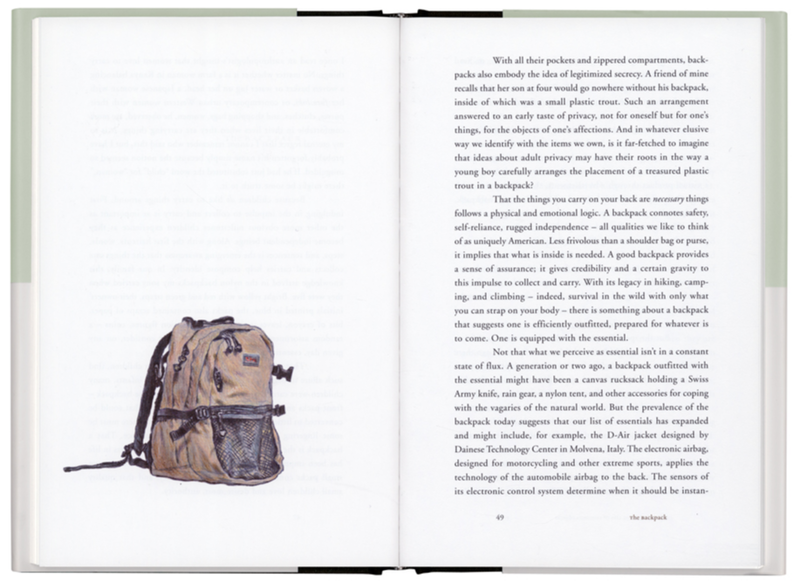 Here is a two-page spread from the book on the backpack.